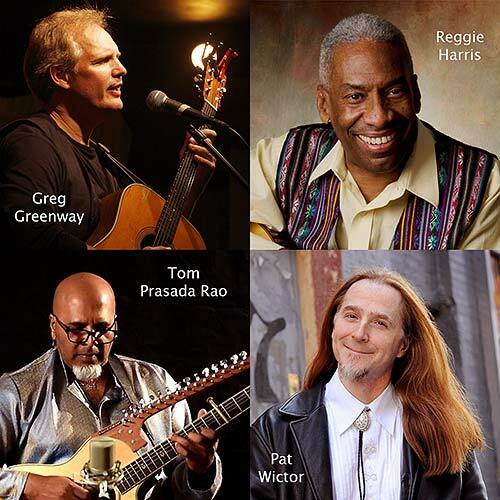 Greg Greenway, Pat Wictor, Reggie Harris, & Tom Prasada Rao perform. The Circle of Friends Coffeehouse starts our 28th season with a Phil Ochs Song Night on Saturday, September 16th at 8PM. Performers will include Greg Greenway, Pat Wictor, Reggie Harris, & Tom Prasada-Rao. Phil Ochs was an American protest singer and songwriter known for his sharp wit, sardonic humor, earnest humanism, political activism, insightful alliterative lyrics, and distinctive voice. He wrote hundreds of songs in the 1960s and 1970s and released eight albums. His best-known songs include "I Ain't Marching Anymore", "Changes", "Crucifixion", "Draft Dodger Rag", "Love Me, I'm a Liberal", "Outside of a Small Circle of Friends", "Power and the Glory", "There but for Fortune", and "The War Is Over". Phil Ochs' sister, Sonny, will act as the master of ceremonies as the four singers interpret his songs. As the concert unfolds, these musicians will interact in the round and perform the songs of Ochs with some modern touches added to his 40-to 50-year-old material. Expect to hear threads of gospel, R&B, jazz, folk, and pop woven into a memorable evening of virtuosity and heart. The performers are some of the best singer-songwriters and musicians in today's urban folk lineup. Tom Prasada-Rao was born in Ethiopia of Indian parents, and raised in the Washington, D.C. area. He's won multiple Washington area music awards and has established himself as a masterful guitar player with an R&B feel. He also plays violin, piano, and a guitar/sitar hybrid. Reggie Harris hails from Philadelphia and is a songwriter, a storyteller, and a lecturer. He has toured internationally for years with his wife Kim Harris. His songs echo the Civil Rights movement, Pete Seeger, and Bernice Johnson Reagon. His guitar is the rhythmic junction of all of these influences. Pat Wictor has lived all over the world and is much in demand as a studio musician on his passion, the slide guitar. He is one-third of the acclaimed trio Brother Sun. Wictor recently released a solo CD of Phil Ochs songs titled "This Is Absolutely Real: Visions and Versions of Phil Ochs." Greg Greenway is an international ambassador of the Boston folk scene. In addition to his instrumental expertise, he is a soulful and moving singer, and powerful poet. Greenway performs on guitar, piano and ukulele, and is another third of Brother Sun. Phil's songs are more relevant today than ever. Please join us for an evening of powerful and uplifting music.